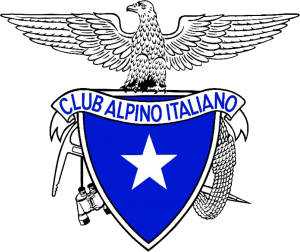 After a few years of absence, Mountain Wilderness is back in Asia, with a program of considerable importance and of great prestige, in which are also involved the Italian Academic Alpine Club and the Aga Khan Foundation. In summary: late August, Mountain Wilderness organizes a course of excellence in the upper valley of Hunza (Pakistan), reserved for a group of Pakistanis and Afghans mountaineers, already having a good basic mountaineering technique and a valid list of climbing, carried out predominantly as high-altitude porters. The aim of the course is to transform this group of students into real mountaineering instructors, able to transmit properly, in the near future, to other local youth, what they have learned. During the course, great importance will be given to the theoretical / practical problems of environment protection. Among the selected students, there will be even four brave girls, from the remote valley of Shimshal. All participants must be equipped, for the course, with appropriate clothing and a minimum of technical materials. However, it is very likely that few of them will possess shoes for rock climbing. For this reason Mountain Wilderness invites members, sympathizers, climbers who share the ideals of the Association, to send climbing shoes of various sizes that, despite being in excellent condition, are no longer used by the owners. The organizers of the course will bring in Pakistan a sufficient number of new ropes. However, it would be very useful to be able to count on a number of used ropes, provided in excellent condition. We hope that everyone wants to give a hand. Mountain Wilderness, Asian Desk, viale Carso 71, 00195 Roma.